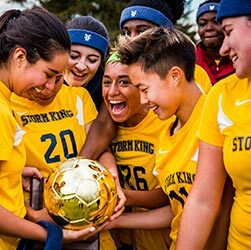 With the arrival of spring, finding the right college becomes a priority for Storm King students– especially those in the junior class. Many families take advantage of the warmer weather to travel around the country to visit potential schools in their search for the perfect fit. 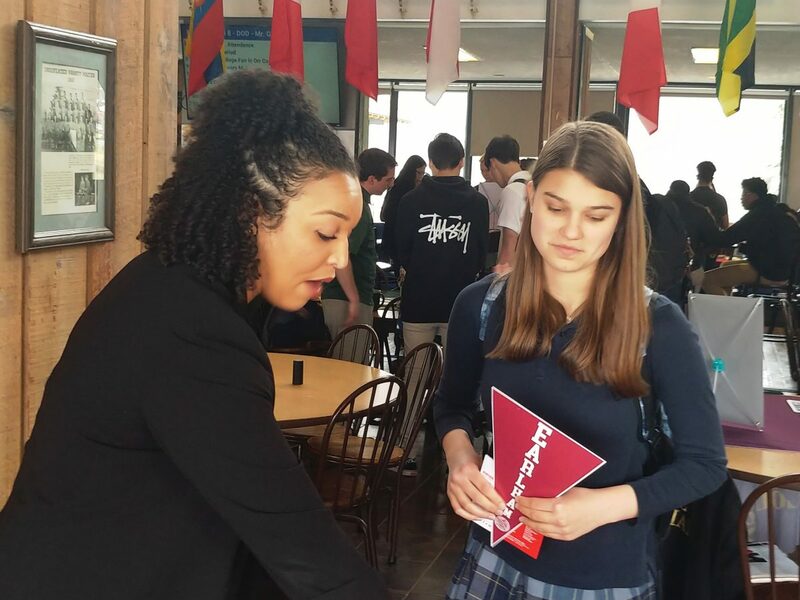 To support their efforts, the School also encourages students to participate in several on and off campus college fairs organized by Storm King’s Office of College Counseling. 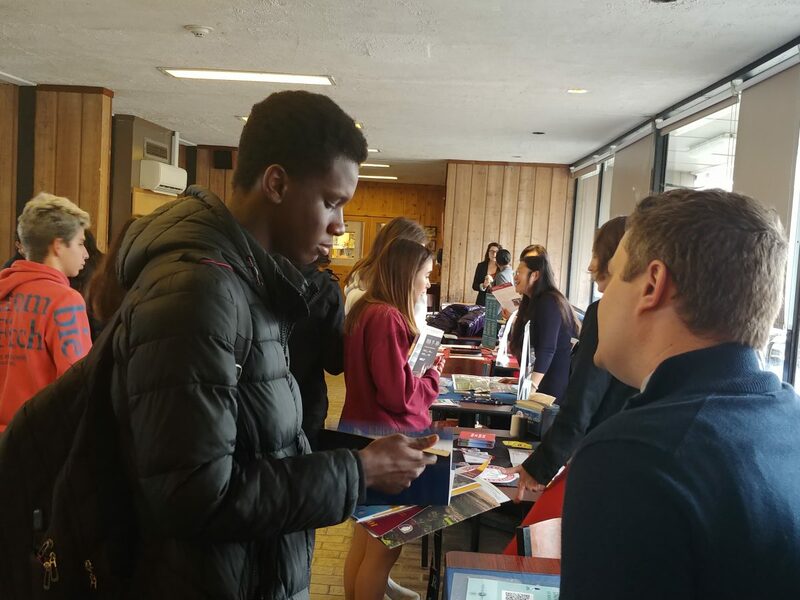 On Monday, April 8, the first spring college fair was held in Orr Commons in cooperation with the Linden Educational Group, who brought nearly 20 colleges and universities from as far away as Oregon, California, Arizona, and Maine. The dining hall was bustling with activity as students from all grade levels met with college representatives from 19 schools including the University of Maine, Arizona State University, Clark University, SUNY at Buffalo, RIT, Savannah College of Art and Design (SCAD), Queens University Charlotte, the University of Oregon, and the Rochester Institute of Technology, among others. 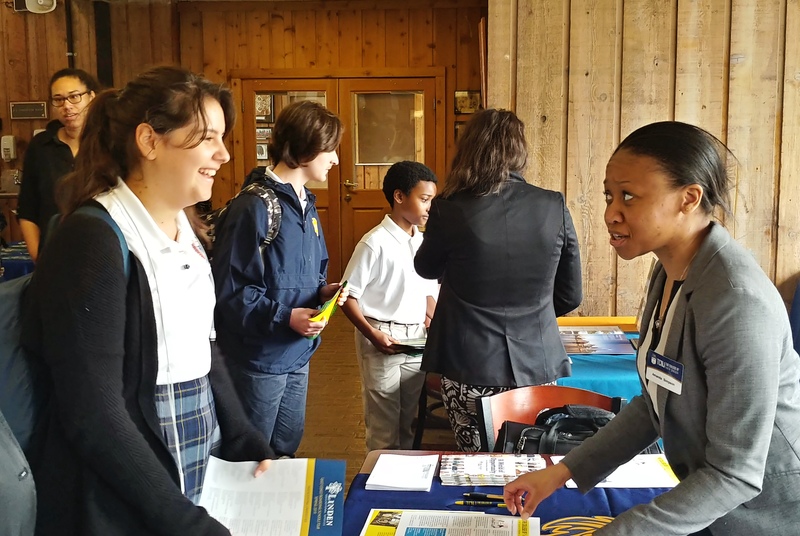 The mission of the College Counseling Program at The Storm King School is to educate and advise students, parents, and guardians on the American college experience. “Our objective is to guide each student in selecting the most appropriate colleges or universities that match their talents and potential. We make every effort to assist them during the sometimes-complicated application process. 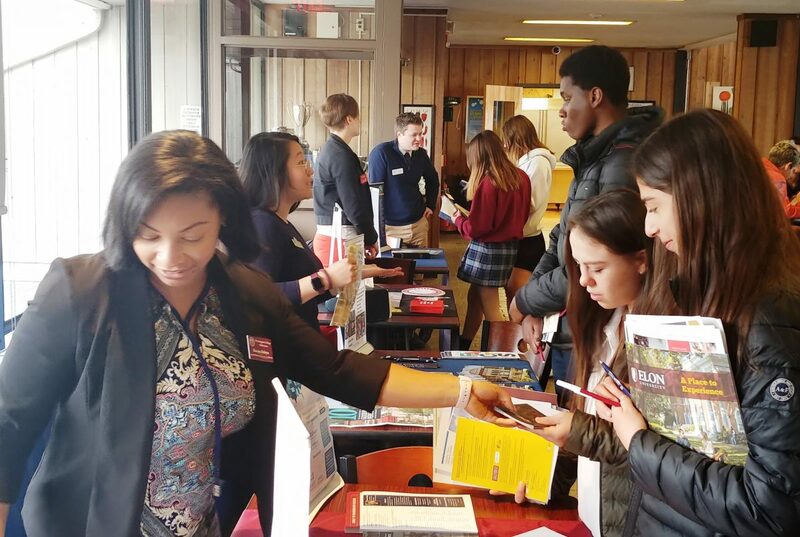 Our personalized approach to college counseling continues to prove its effectiveness year after year, with first and second-choice acceptances at an all-time high for the Class of 2019,” continues Mrs. Kwon. The College Counseling Office is planning trips to several other college fairs later this spring, including the Orange County College Fair. This fair takes place on April 30, 2019, and hosts over 100 colleges and universities from across the nation.